Simple geometric nail art does the trick when paired with jewelry that's more on the elaborate side. 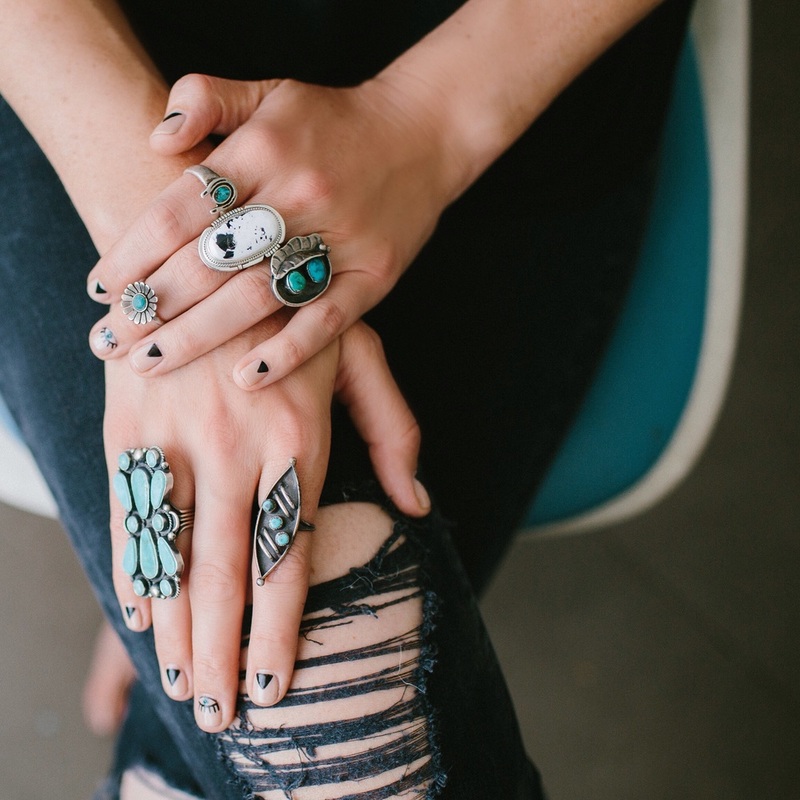 These turquoise rings are from Gunn & Swain's recent buying trip to New Mexico. They are going fast so get em' while you can! The photo was snapped by lifestyle and travel photographer Taryn Kent. We are so pleased to have had Julia Wheeler, Mrs. Gunn & Swain herself in house for this manicure and she walked out with some beautiful lash extensions to boot! Babe alert!!! Now Open Late! Introducing extended salon hours.